Asus' updated gaming laptop gets Skylake, Thunderbolt 3.0 and an affordable price. 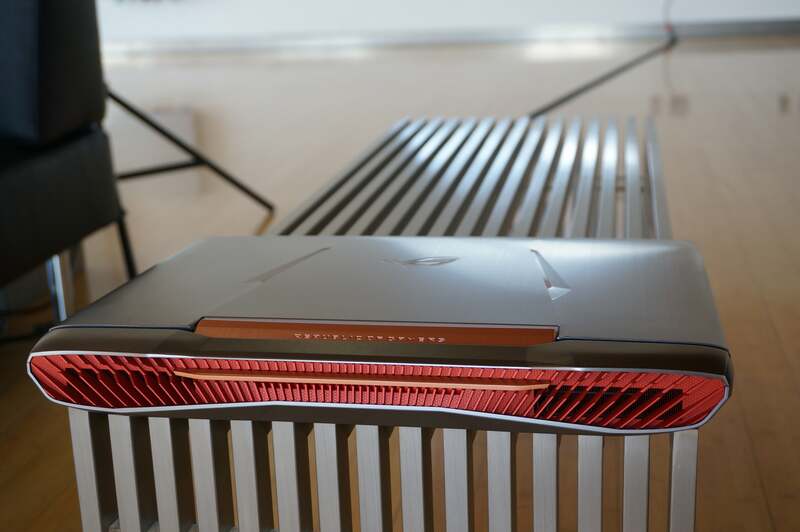 If Asus’ over-the-top, water-cooled GX700 gaming laptop is too unconventional for you, the company has an answer: its new Republic of Gamers G752 laptop, a big and beefy G751 update that offers quad-core Skylake chips across its lineup. Asus said the change from the previous model includes a “Mobile 3D Vapor Chamber” cooling system. That essentially means the G752 now features dual heat pipes to independently cool the GPU and CPU. Why this matters: While many gamers prefer the superior bang-for-your-buck that desktops provide, when you need gaming performance in a semi-portable package, a large 17-inch laptop is hard to beat. The G752's release ensures Asus' flagship ROG line offer the latest and greatest mobile hardware around. The G752 features a window on the bottom. Really. A window on a laptop. It’s smoked so just hard to see here. 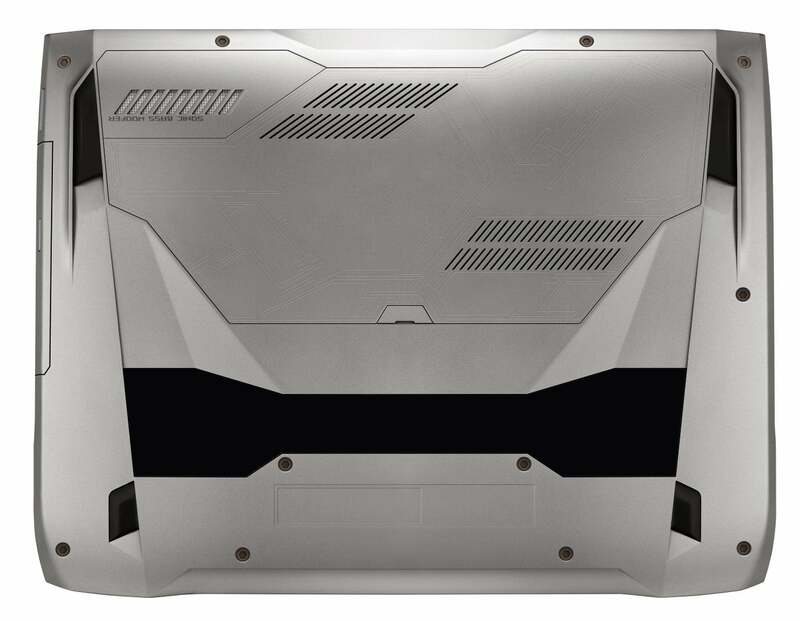 This big bertha of gaming laptops offers an abundance of graphics options. The base level G752 comes in at $1,500 and nets you a quad-core Core i7-6700HQ Skylake chip, Nvidia GeForce GTX 965m graphics, a 1920x1080 IPS panel with G-sync, 16GB of DDR4 RAM, and a 1TB hard drive. You can upgrade to the GeForce GTX 970m—a big step up in graphics—for just $100 more. 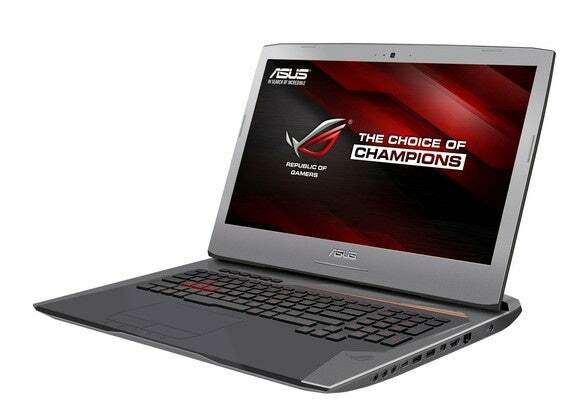 At $1,800, the same laptop you'll get the upgraded graphics and a speedy 128GB M.2 SSD. The large vents on the G752 lets it play games for long periods of time without a huge fan noise penalty. The top end $2000 G752 lands you a GeForce GTX 980m GPU. Before the introduction of Nvidia’s new desktop-class GeForce GTX 980 mobile graphics, the GTX 980m was the top dog in laptops. The performance difference between the two is about 25 percent in most games. It’s still a very respectable GPU, however, and you’d be hard pressed to find a game today that will play at under 60 frames per second at 1080p resolution with it. All G752 models come with Thunderbolt 3.0 support over USB-C.